Note: The survey results can be found here. For more information on the survey, please contact Tom K. Wong. The 2017 version of this survey can be found here. The 2018 version of this survey can be found here. This year marks the fourth anniversary of the Deferred Action for Childhood Arrivals, or DACA, initiative. Through executive action, DACA provides temporary relief from deportation and work authorization to eligible unauthorized immigrants who entered the country at a young age. According to the latest publicly available data from the U.S. Citizenship and Immigration Services, 741,546 unauthorized young people have received DACA. 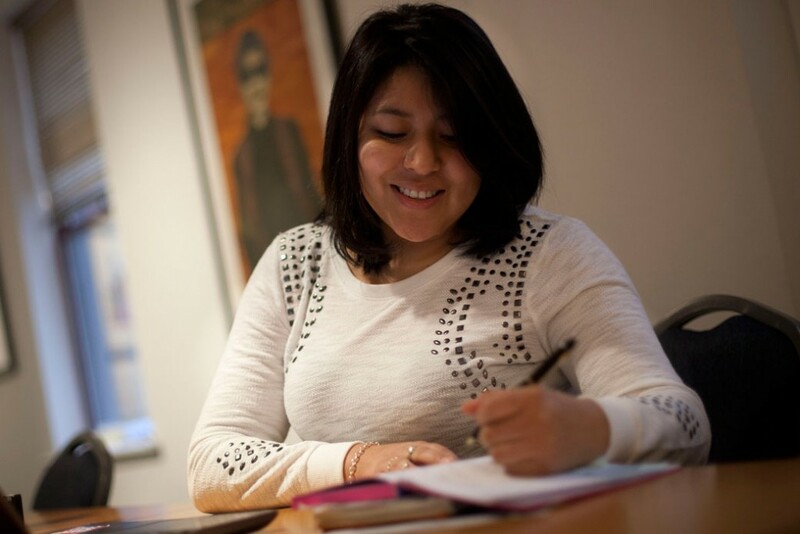 Early studies—including one that Tom K. Wong of the University of California, San Diego; the National Immigration Law Center, or NILC; and the Center for American Progress, or CAP, conducted last year and another published by United We Dream—illustrate that DACA has improved the lives of its recipients and their families. Following up on these studies, these organizations teamed up on a new national survey to further analyze the economic, educational, and employment experiences and outcomes of DACA recipients. The survey was fielded from September 8, 2016, to September 26, 2016, with a sample size of 1,308 individuals. The results make clear that DACA has had a positive impact, not just for recipients but also for the American economy more generally. The data illustrate that DACA recipients are making significant contributions to the economy by buying cars and first homes, which translate into more revenue for states and localities in the form of sales and property taxes. Some are even using their entrepreneurial talents to help create new jobs and further spur economic growth by starting their own businesses. The positive wage effect of DACA is also significant. The data show that DACA increased recipients’ average hourly wages by 42 percent. Given that higher wages translate into higher tax revenue and economic growth, these findings reinforce the fact that DACA benefits all Americans. Moreover, a full 95 percent of survey respondents are currently employed or enrolled in school. Consistent with the 2015 survey, the data indicate that many DACA recipients are getting better and higher-paying jobs because of DACA. Many are pursuing educational opportunities that were previously unavailable to them. The majors, specializations, and training that DACA recipients are pursuing include early childhood education, biochemistry, computer science, creative writing, graphic design, neuroscience, nursing, social work, and urban planning, among many others. The latest data indicate that having work authorization remains vital when it comes to helping DACA recipients participate more fully in the labor force. Eighty-seven percent of respondents to the 2016 survey are currently employed, with an additional 8 percent not working but in school. The current survey is one of the first to systematically identify the industries in which DACA recipients are working, and the results show wide-ranging labor market contributions. The data indicate that 21 percent of respondents work in educational and health services, 11 percent work in the nonprofit sector, 9 percent work in wholesale and retail trades, and 8 percent work in professional and business services. The results illustrate that DACA recipients are contributing across all sectors of the economy. Furthermore, after receiving DACA, 63 percent of respondents reported moving to a job with better pay; 49 percent moved to a job that “better fits my education and training”; and 48 percent moved to a job with better working conditions. These figures are largely consistent with previous findings from the 2015 survey and show that the temporary work authorization that comes with DACA has helped to unlock recipients’ economic potential. Last year’s survey found that having DACA increased individuals’ average hourly wages by more than 40 percent. The current survey data confirm that DACA is having a positive and significant effect on wages: The average hourly wages of respondents increased by 42 percent since receiving DACA, rising from $9.83 per hour to $13.96 per hour. Further research is needed to parse out the short- and long-run wage effects of DACA, as well as whether short-run gains represent a plateau in earnings or if an even more robust long-run wage effect exists as recipients gain more work experience and progress in their careers. But for now, this much is clear: Four years into the initiative, DACA means earning higher wages. Accordingly, 60 percent of survey respondents reported that their increased earnings have “helped me become financially independent,” and 61 percent reported that their increased earnings have “helped my family financially.” These figures are also consistent with the previous 2015 findings, but importantly, the percentage of respondents who are now able to help their families financially has increased from last year, which is another sign of the broader benefits of DACA. The current survey results suggest that the purchasing power of those with DACA is increasing. Last year, the survey found that 21 percent of respondents purchased their first car after receiving DACA. This year, this figure climbed to an astonishing 54 percent. The data indicate that most people—71 percent—purchased used cars, while a smaller group—29 percent—purchased new cars. The average cost of used car purchases was $10,637, and the average cost of new car purchases was $24,307. These large purchases matter for state revenue, as most states collect between 3 percent and 6 percent of the purchase price in sales tax, along with additional registration and title fees. The added revenue for states comes in addition to the safety benefits of having more licensed and insured drivers on the roads. The survey also found that 12 percent of respondents purchased their first home after receiving DACA, at an average cost of $167,596. The broader positive economic impact of home purchases are well-documented and include the creation of jobs and the infusion of new spending in local economies. 4 percent are pursuing a high school or GED diploma. 20 percent are pursuing an associate degree. 4 percent are pursuing a trade, technical, or vocational certificate. 70 percent are pursuing a bachelor’s degree or higher. The results also show that DACA may be a strong motivator of civic participation: The 2016 survey found that 41 percent of respondents have immediate family members who are U.S. citizens over age 18 and that 80 percent of these family members are registered to vote. A recent national poll found that protecting DACA and its recipients will be a key motivator for Latino voters during the 2016 elections, and these survey results suggest that this will be especially true of eligible voters with DACA-recipient family members. The survey results reported here illustrate that DACA has promoted educational and employment outcomes and has been a major driver of economic growth—for individuals and families, as well as cities and states that reap the benefits of new tax dollars from large purchases and new jobs. Four years later, the effects of DACA on the lives of unauthorized young people have been enormous. Still, hundreds of thousands more people could benefit from the initiative and have not applied for various reasons. These findings suggest that beyond DACA, greater opportunities and benefits could accrue from the creation of an even more inclusive executive action reaching a greater swath of the unauthorized population. As of this publication, two parts of the November 2014 executive actions on immigration—Deferred Action for Parents of Americans and Lawful Permanent Residents, or DAPA, and an expansion of the DACA initiative—are still on hold in the courts. Similar to DACA, these initiatives could have a deep impact on the lives of unauthorized immigrants who have lived in this country for years, their families, and the nation as a whole. The survey questionnaire was administered to an online panel of DACA recipients recruited by the partner organizations. Several steps were taken to adjust for the known sources of bias that result from such online panels. To prevent ballot stuffing—one person submitting multiple responses—the authors did not offer an incentive to respondents for taking the questionnaire and used a state-of-the-art online survey platform that does not allow one IP address to submit multiple responses. To prevent spoiled ballots—meaning people responding who are not unauthorized—the authors used a unique validation test for unauthorized status. Multiple questions were asked about each respondent’s migratory history. These questions were asked at different parts of the questionnaire, and some questions were repeated but posed using different wording. If there was agreement in the answers such that there was consistency with respect to the respondent’s migratory history, the respondent was kept in the resulting pool of respondents. If not, the respondent was excluded. In order to recruit respondents outside of the networks of the partner organizations, Facebook ads were also used to recruit respondents. Because there is no phone book of unauthorized immigrants and given the nature of online opt-in surveys, it is not possible to construct a valid margin of error. Tom K. Wong is an Assistant Professor of Political Science at University of California, San Diego. Greisa Martinez Rosas is Advocacy Director and Adrian Reyna is Director of Membership and Technology at United We Dream. Ignacia Rodriguez is Immigration Policy Advocate and Patrick O’Shea is Research Manager at the National Immigration Law Center. Tom Jawetz is Vice President for Immigration Policy and Philip E. Wolgin is Managing Director for Immigration Policy at the Center for American Progress.